Before we go any further, we want you to know this isn’t your average restaurant in a small Canadian town. Here’s our guide to dining at one of Leamington, Ontario’s hidden gems. When you first walk up to El Comal, you may be a little confused about there being a restaurant on this residential street. In fact, you may ask yourself where the restaurant actually is. The answer: it’s in a house. That’s not it though. It’s not like Rino’s Kitchen, located in a historic old manor where you just walk up to the front door. Here, you walk up the driveway to the side door, head in past the kitchen (both of the restaurant and the house) and turn right into an expanded sun room. 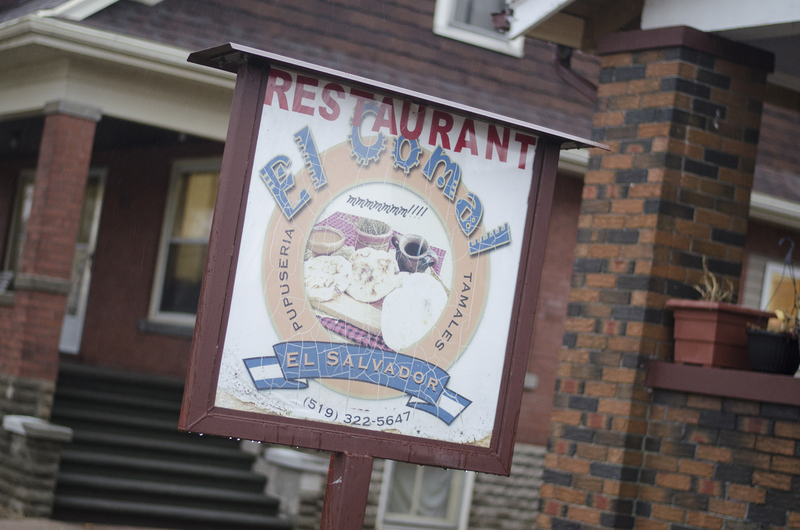 El Comal Restaurant serves up authentic Salvadoran food in Leamington, Ontario. Take a seat at one of the picnic tables. Depending on the time of day, the place will be packed with many of Leamington’s many Latin American migrant workers getting a damn good, authentic meal. If there’s no open table, don’t be shy. Slide in next to them. When the server comes to take your order, they may or may not speak English, and that’s ok. Food is the universal language, after all. El Comal is a hidden, truly unique and authentic spot that should be on your must-try list. To help you with that, here’s our guide for what you need to know when heading to Leamington to try it. Drink a horchata when you eat at El Comal in Leamington, Ontario. First things first, you need to get yourself a drink. 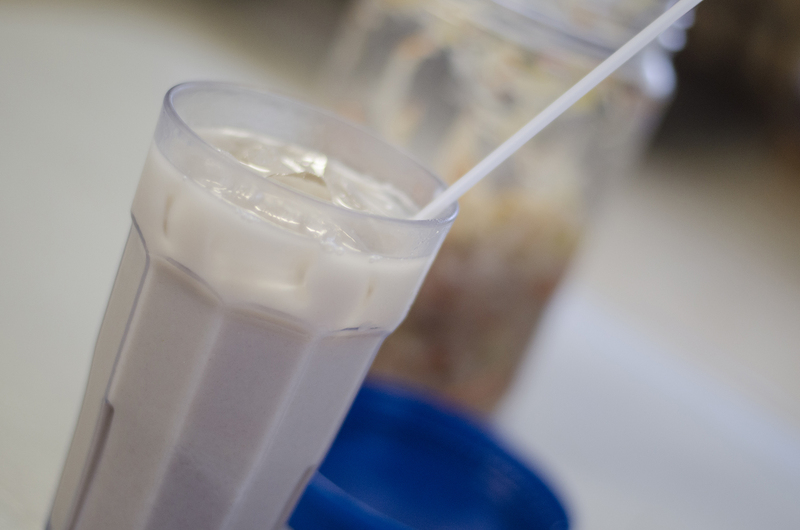 Go authentic and get yourself a horchata. It’s traditionally made with rice and flavoured with cinnamon, cocoa, nutmeg, vanilla and more. A chicken baleadas from El Comal in Leamington, Ontario. 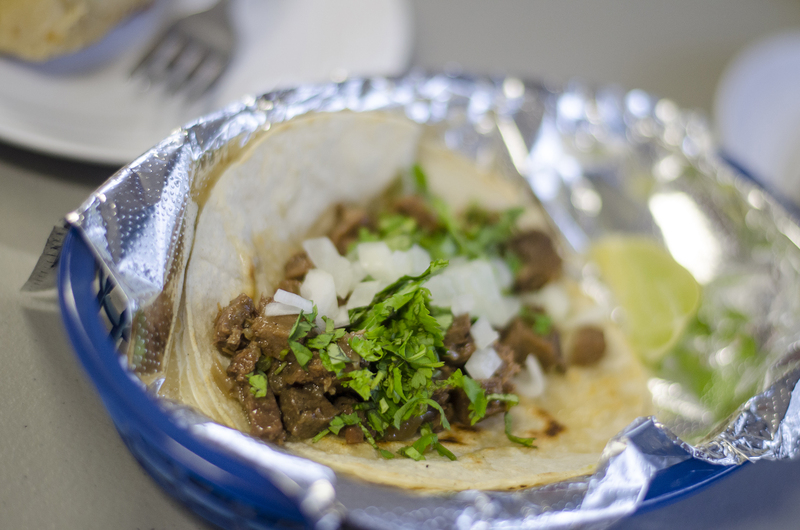 A baleadas is a tortilla wrapped around sour cream, cheese and beans. El Comal has options for steak, chicken and chorizo. We loved the chicken baleadas. A cow tongue taco from El Comal in Leamington, Ontario. Everybody loves tacos! The restaurant serves up a variety to choose from including steak, chicken, chorizo and our favourite, cow tongue. You can’t go to El Comal in Leamington and not order a pupusa or twelve. O.M.G. 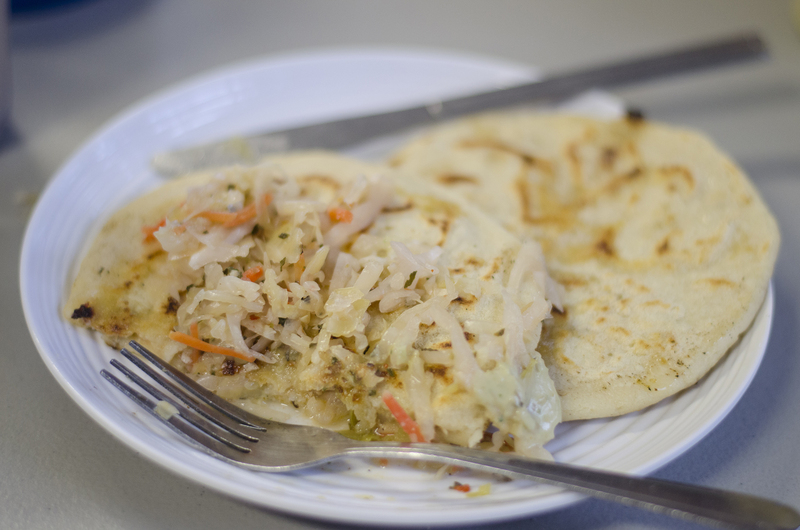 Pupusas are the signature dish of Salvadoran cuisine and they are delicious! They are stuffed tortillas and we aren’t talking throw some goodies on a tortilla and fold it over. 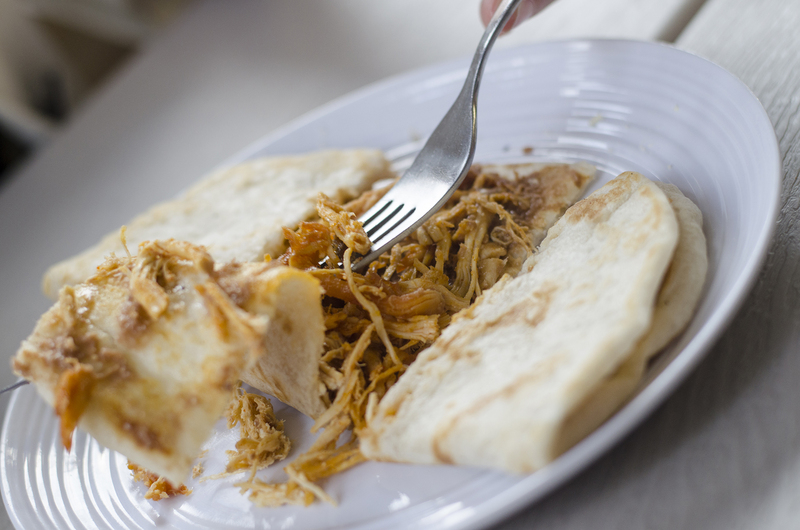 You can have a variety of things like pork, cheese and beans all mixed and stuffed directly into the tortilla dough and cooked. If ordering pupusas (and you should), be sure to throw on the curtido that are in jars on each table. Curtido is a spicy cabbage salad that is the classic condiment for pupusas. A pepita from El Comal in Leamington, Ontario. Think of a pepita as an open faced sandwich. Instead of the bread, use a tortilla. 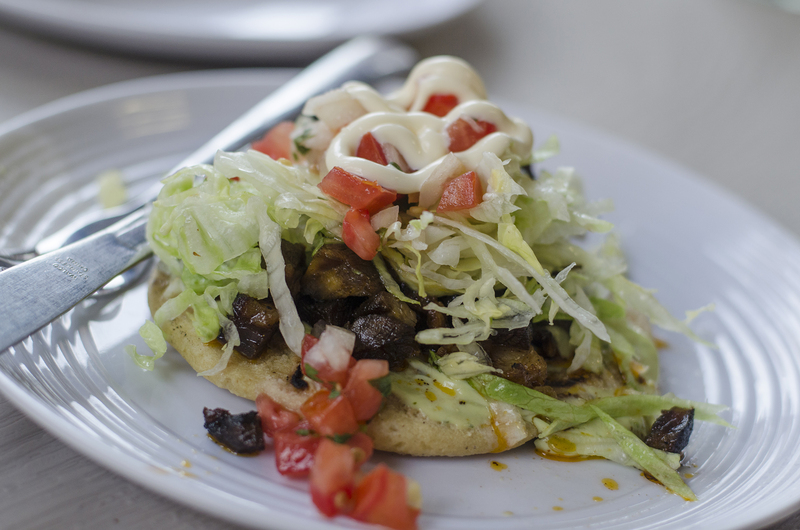 El Comal tops theirs with BBQ steak, guacamole, lettuce, pico de gallo and mayonnaise. 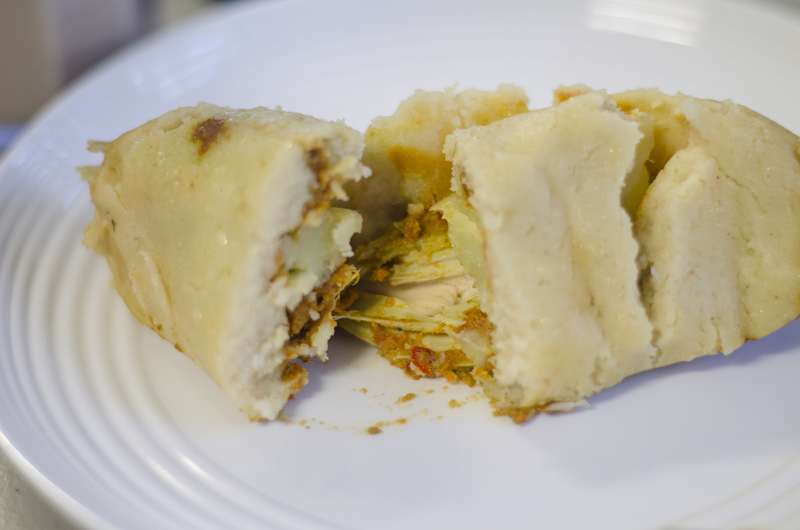 A tamale from El Comal in Leamington, Ontario. Hot tamale! El Comal serves up chicken tamales which are huge chunks of real chicken wrapped in cornmeal dough and steamed in corn husks.